Welcome to “Al Borgo Medievale"
If you stay at Borgo Medievale, thanks to Castelmola medieval streets and atmosphere, you'll feel like living in Camelot Castle. The best place for a relaxing holiday. 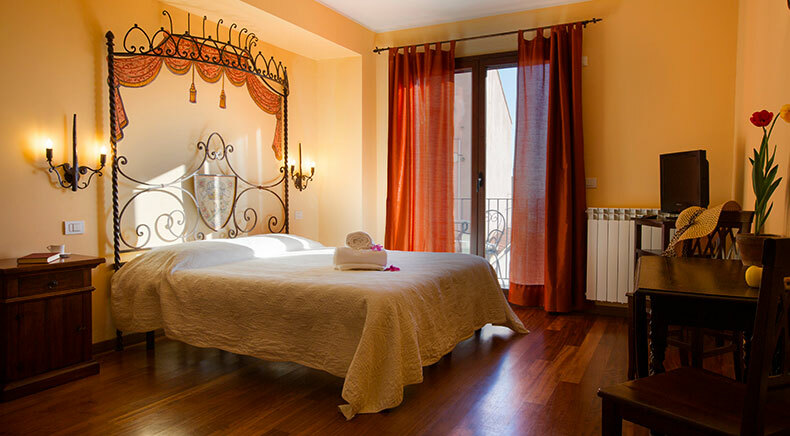 Al Borgo Medievale is next to the main square of the town and offers a breathtaking view. You'll have the opportunity of discovering the most beautiful places of Castelmola and chill out. Double room with air conditioning, TV and private bathroom. Two suites with independent entrance, private bathroom and TV. Triple room with private bathroom, TV and balcony. 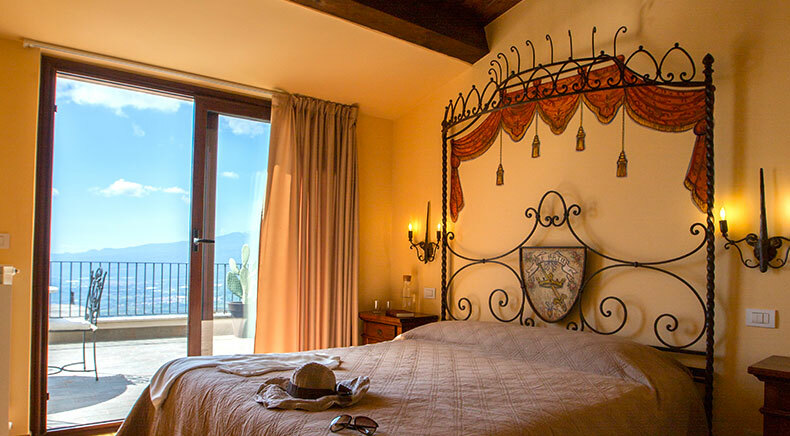 Suite with a terrace overlooking the surrounding landscape. 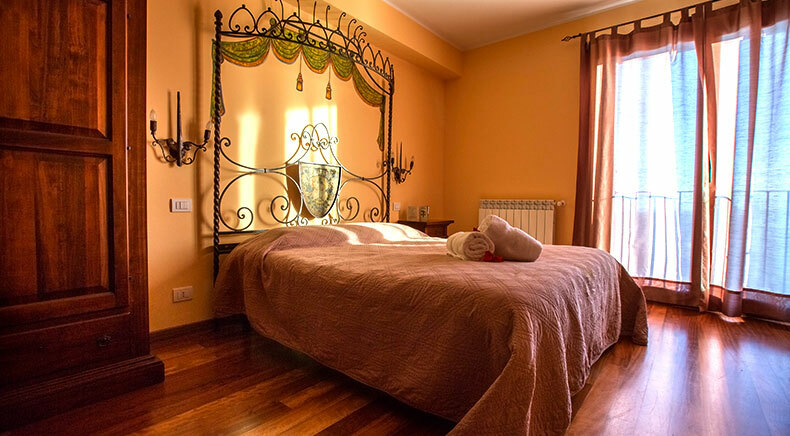 Al Borgo Medievale is located in the very heart of the tiny little medieval town of Castelmola. The facility offers seven accommodations with air conditioning, private bathroom, TV, and a terrace. They are elegantly furnished according to the legend of King Arthur. Two suites have an independent entrance. 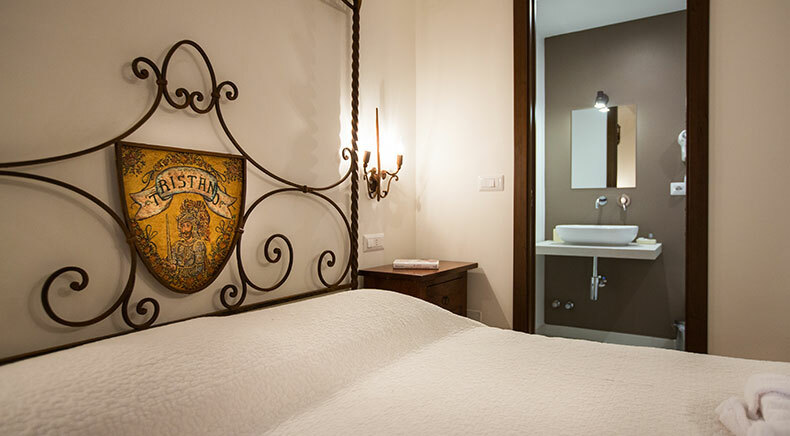 Our SPA Boutique 'La Roccia di Cristallo' will help you relax and enjoy modernity in a medieval town. 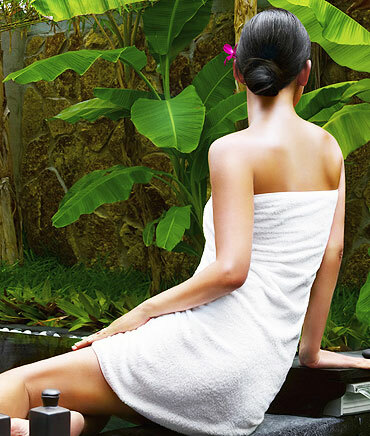 It consists of sauna, jacuzzi, turkish bath and emotional shower. 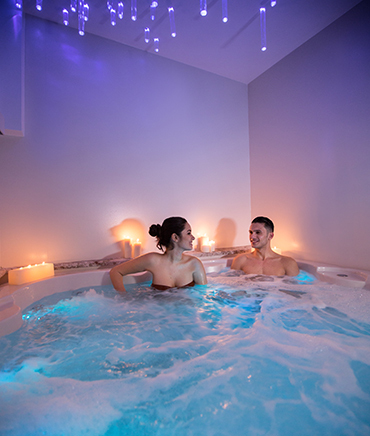 SPA Boutique “La Roccia di Cristallo: jacuzzi, sauna, emotional shower, turkish bath. Book one of our offers now and save money! An exclusive 1-hour access to the SPA Boutique "La Roccia di Cristallo"
Customer serviceFrom 9:00 a.m. to 12:00 a.m. and from 3:00 p.m. to 8:00 p.m.
Our staff will satisfy any of your request from the beginning until the end of your stay. They will be at your disposal to provide you with any information you need concerning restaurants, bars, sightseeing and tours. Contact us the day before your arrival by phone at +39 0942 896609. 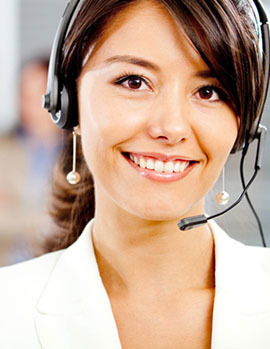 We'll answer your calls from 9 am to 12 am and from 3 pm to 8 pm. Your message has been corretly sent. Error. Your message hasn't been sent. Try again.